Originally from Portsmouth, Philippa moved to Birmingham in 1998 to study at the Birmingham Conservatoire with Rimma Sushanskaya. 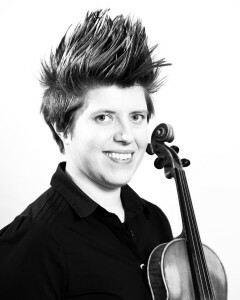 Since graduating in 2003 with an Honours degree and Masters in Music she has worked extensively around the West Midlands and enjoys a busy and varied career as a freelance musician. She has performed on tour with artists such as Il Divo, Smokey Robinson, George Benson, Chris De Burgh, Alfie Boe, Tim Minchin and Johnny Mathis, both in the UK and Europe. A sought-after leader for theatre orchestras, Philippa can be found most evenings sat in an orchestra pit in one of the many theatres in the region, playing both musicals and operas, and worked for one glorious summer in Austria performing with the Bad Ischl Operetta Orchestra during their 2002 summer season. At weekends Philippa is more likely to be found performing with one of her two String Quartets. As leader of the Ramoray String Quartet she has given a number of recitals both in Birmingham and as part of a regular series in Bath. As leader of the Signature String Quartet she performs weekly at weddings and corporate functions across the country. Her orchestral work includes performing with Midlands Sinfonia, Queen’s Park Sinfonia, English Symphony Orchestra, the City Concert Orchestra, Armonico Consort, as well as finding herself in demand as a guest-leader for various free-lance orchestras. Philippa juggles her playing career with a busy teaching one, passing on her love of music and the violin to youngsters in local schools. From church halls to 88,000 seater stadiums, from classrooms to concert halls, and from accompanying singers on stage to accompanying brides down the aisle, Philippa enjoys a wide and varying career in music, where no two days are ever the same! 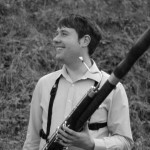 Richard began learning the Bassoon at the age of 11 with Merle Calderbank through Sandwell Youth Music. Following these studies, he gained a four year scholarship to study at the Birmingham Conservatoire in 2003. During his time at the Conservatoire, Richard studied under Maria Mealey, Margaret Cookhorn, Meyrick Alexander and Nick Hunka whilst undertaking masterclasses with John Orford and Gareth Newman. Richard was a three time finalist in the Sylvia Cleaver Chamber Music prize and was part of several Symphony Orchestra concerts. Whilst gaining a 2:1 BMus(Hons) degree, Richard was also part of the CBSO Youth Orchestra, and took part in the CBSO ‘Igor Fest’ in 2006. 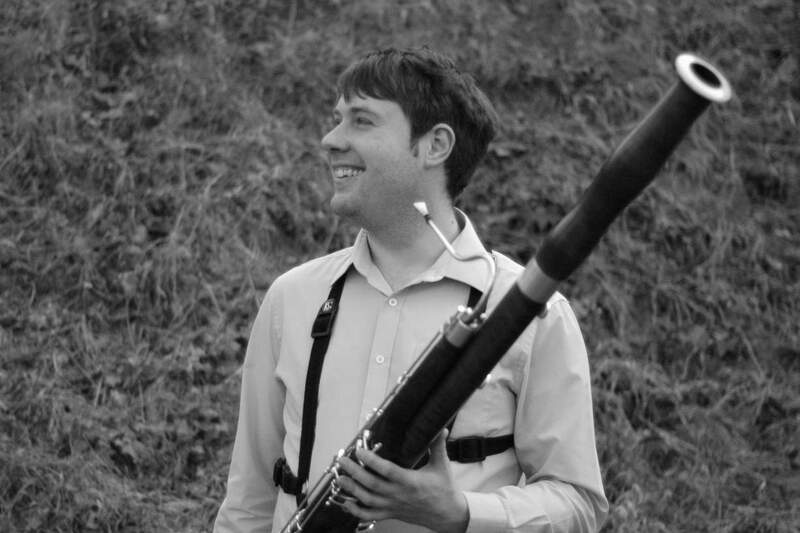 He continued studies at the Royal Northern College of Music the following year, gaining a PgDip in Performance in 2008, studying with Laurence Perkins and Stefano Canuti, reaching the final of the Woodwind Prize. Having achieved his Masters in Composition, with distinction, from the Guildhall School – with generous support from The Worshipful Company of Tobacco Pipe Makers, The Worshipful Company of Tylers and Bricklayers, the Guildhall Trust and the Countess of Munster Musical Trust – Benjamin’s works have been performed widely, either by himself, as clarinettist, or others in venues and festivals across the UK and abroad including Darmstadt, Germany and Aldeburgh; Birmingham; Durham; Oxford and London’s Air Studios, Barbican, City of London Festival, LSO St. Luke’s, the BBC’s Maida Vale Studios, The Place, Southbank, and the Wigmore Hall and has recently gained places on the Britten-Pears Young Artists programme and the London Symphony Orchestra’s Panufnik Young Composer Scheme. 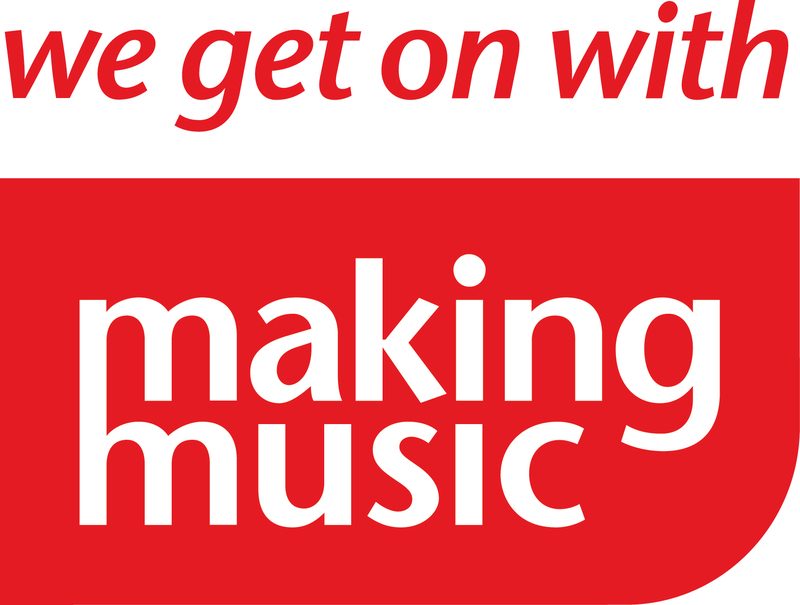 He is co-founder of the critically acclaimed dance and music company Sounding Motion who perform extensively across the UK in theatres, studios and education projects, with generous support from the musicians’ benevolent fund. Chris Andrews is a Cardiff-based pianist and graduated with a masters degree in music from Cardiff University in 2011. 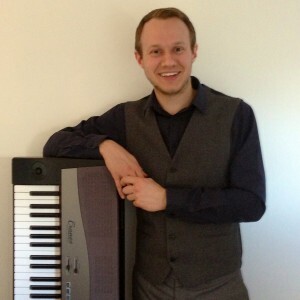 He performs on piano and organ with choirs and orchestras around the capital (including Cardiff Philharmonic Orchestra and WNO) and has performed on BBC Radio 3’s ‘Night Waves.’ Some of his favourite performances include Ravel’s Piano Concerto in G, George Gershwin’s Rhapsody in Blue and Judith Weir’s little-know Piano Concerto with string orchestra. He is delighted to be playing Shostakovich’s 2nd Piano Concerto with RFDO. When not performing, Chris works as the Director of Music at St. John’s-on-the-Hill, an independent preparatory school in Chepstow. In his spare time he also skates for the South Wales Silures roller derby team.